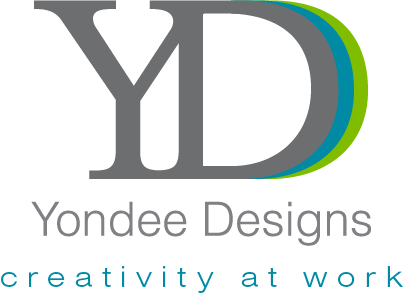 Yondee Designs knows that it takes more than just an innovative design to be successful. It takes a great attention to detail, a creative and organized mind, adaptability, open communication, and a highly motivated team-player to bring an idea from concept to completion. It takes an experienced graphic artist willing to take the time to work with each client on a personal level to ensure the final product exceeds your wildest expectations. It takes a passion for print. Whether it’s a corporate publication or a custom invitation, Yondee Designs will make your job easier and make you look good.